Hello everyone and good morning - I'm Kelsey Proud, Online Producer for St. Louis Public Radio. We'll be getting started in about 15 minutes with the forum - but what questions or thoughts do you have right now? We'll be chatting here throughout. 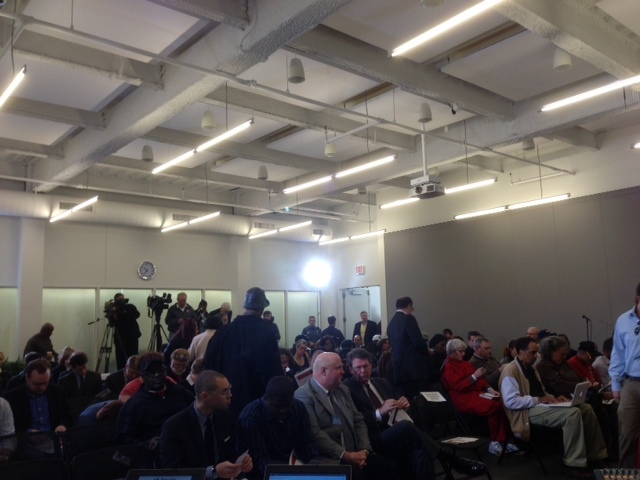 Our crowd is seated and getting ready for the forum to begin. It's great to have so many here with us today. Next audience question comes from a Susan, although an Allison SLPS parent was supposed to be next. Where is Allison? I hope she's okay. Question from audience member on development policy to all candidates on the amount of tax incentives given to developers and how that relates to funding for education. What do you think about tax credits for developers? Things get heated at #stlmayor forum. 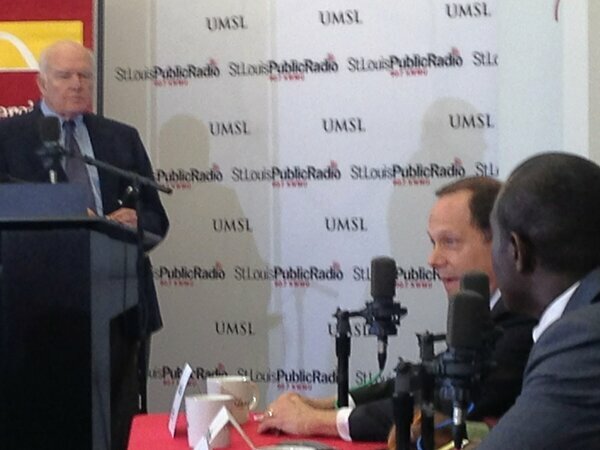 Reed interrupts @MayorSlay, Matthews holds up his hand and asks for a chance to speak. Thank you so much for joining us for our #STL Mayoral Primary Forum! We'll have more at http://stlpublicradio.org soon. I'm definitely holding a citizen's debriefing of today's #STLMayor debate tonight after 8pm at the Royale to discuss the claims & promises. Free STL Tap water for all, but I suggest the luxury of a pint of STL brew... best commenters will get a pint on me.